We are the Premier Partners in education in Kenya. We are partnering with schools to provide sustainable scholarships, School buildings – Libraries and Classrooms and School supplies. 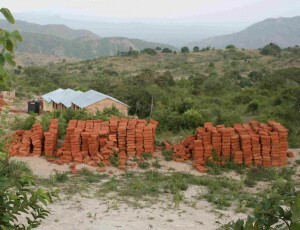 Bricks and Kwa Muema High School. 2018-2020: Construction of a new high school library at Kwa Ngindu, Kenya. Here are students who will be benefiting from the new library. Kwa Ngindu library will be complete and in use by April, 2018. 2017-2020: Construction of a new library at Kabaa Sec. 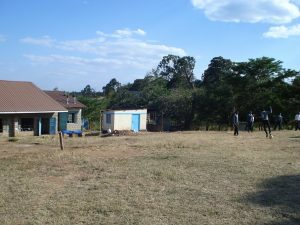 Sch., Kitui, Kenya. Ms. Isabella is helping fundraise for the new library. 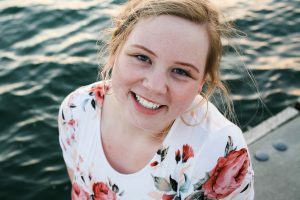 She started volunteering with Books and Bricks as a 5th grader. Update: Kabaa Library is complete and in use. 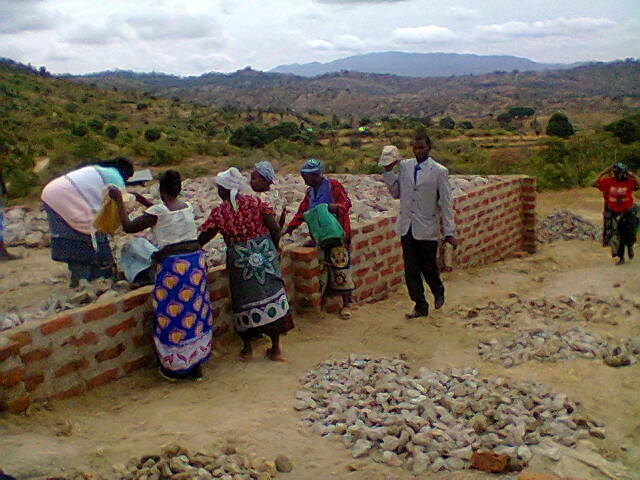 2016-2020: Construction of a new library at Kilonzo High School. Kilonzo area has 3000 intergenerational families, 300 high school kids and 1300 primary school kids, who would benefit from this new added academic resource. The Board of Management led by Dr. Muluvi, Principal Mulelu and Books and Bricks College student Elijah Syengo have identified the location for the new library at the school grounds and are awaiting for the end of national exams to begin work. Kilonzo library is now complete, equipped and operational. Mrs. Muema on the ground is paying school fees for all our scholarship recipients in high school while Mr. Kyondo is assisting college students to access and pay their college tuition. Thank you. Kwa Muema high School library is complete and in use. Mr. Okumu is the new librarian. He also teaches English at the school. ‘Mothering Sunday’ goodwill donations funded 107 library books. MDG grants from the Diocese of Olympia funded library chairs and tables, a water tank to make the library building green and a gate to increase security at the high school compound. 2014: The construction and equipment of a high school library at Kwa Muema. Parents have already completed the foundation. Books and Bricks continues to raise a targeted amount of $10,000 to meet this goal. The library will be up and running by July 1st, 2015. 2012 -2013. 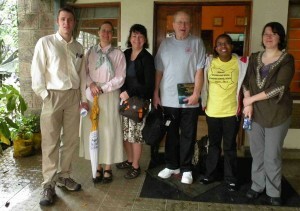 St. John send a group of 5 missioners to Mulundi Village. A successful scholarship fund that will run till 2020 has been established in the village. Several teachers from Kwa Muema will benefit from the college scholarship program and have already reported to Kenyatta University to pursue degrees in education. For the Mulundi Community Library we brought over two hundred donated books and purchased a hundred or so in Nairobi, met with Pius, the librarian, then arranged for bookcases to be built to hold all of the books, new, old and those to come. 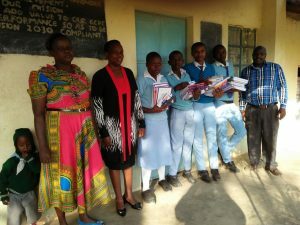 Several members of the group helped to teach at Kwa Muema Secondary School during the trip and met with scholarship students and their families to encourage them in school; and attended a harambee at St. James Batavia to benefit high school girls. We also started an e-penpal program set up for for teachers at the primary school (teacher to teacher correspondence). 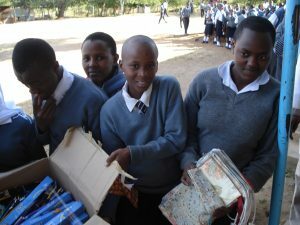 We also delivered the pencil bags made by the Art and Craft Co-op of Saint John’s, filled with pencils and pens, to students at both Mulundi primary and Kwa Muema secondary school. 2011. The Mulundi Community library has been started and a librarian selected. As funds become available we are adding to the collection of books. We added over 300 books during our visit in February of this year (2012). Monroe Elementary School in Boise, Idaho is assisting in two ways: their librarian is acting as a mentor for Pius Maswili, Mulundi’s librarian, and they are collecting and shipping books for the library. Janet has also been arranging for community members to support the library by donating books. James Saadeh recently returned from Mulundi. He spent the fall term teaching English, business, physics and PE to Form 1 (Freshmen) and Form 2 (Sophomore) students at Kwa Muema Secondary School, helped teachers from both the primary and secondary schools to learn computer skills and supported Pius Maswili, the librarian, as he establishes the library.